I cannot believe it is Wednesday already. 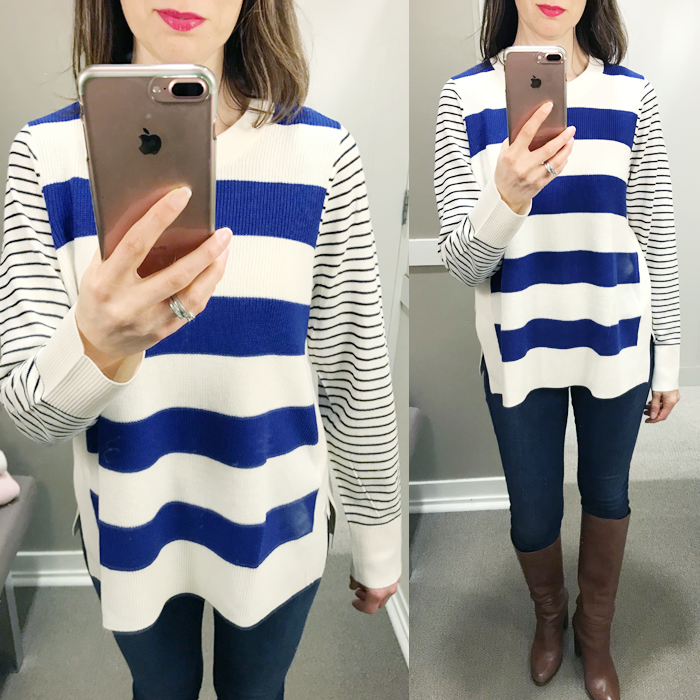 Here is a round up of a lot of new arrivals I tried on at LOFT - that are all on SALE! Everything I am showing here is 40-60% off! 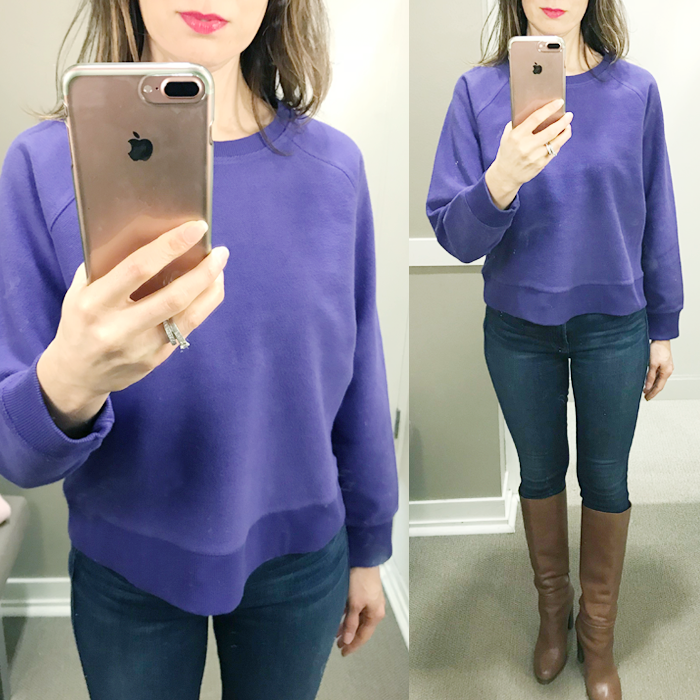 I love that purple sweatshirt and pink dolman sweater. 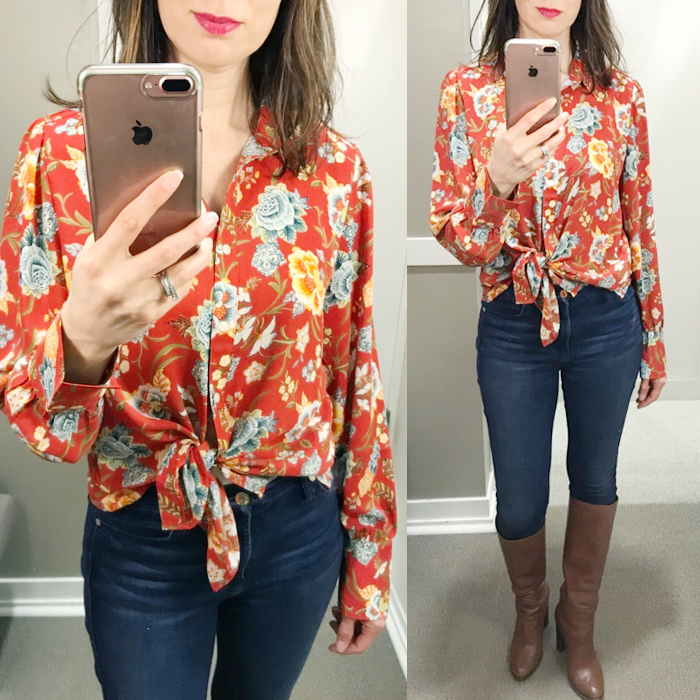 I am also sharing a few more of my favorite pieces over on The Blended Blog - like this floral blouse. This cozy hoodie is on sale for $32. I love the print on this bell sleeve dress and is it on sale. This suede moto jacket would be perfect layering piece for spring. I just want to buy this “heart” wallet. This ruffle sleeve shirtdress - would be cute with ankle booties and it's on sale! 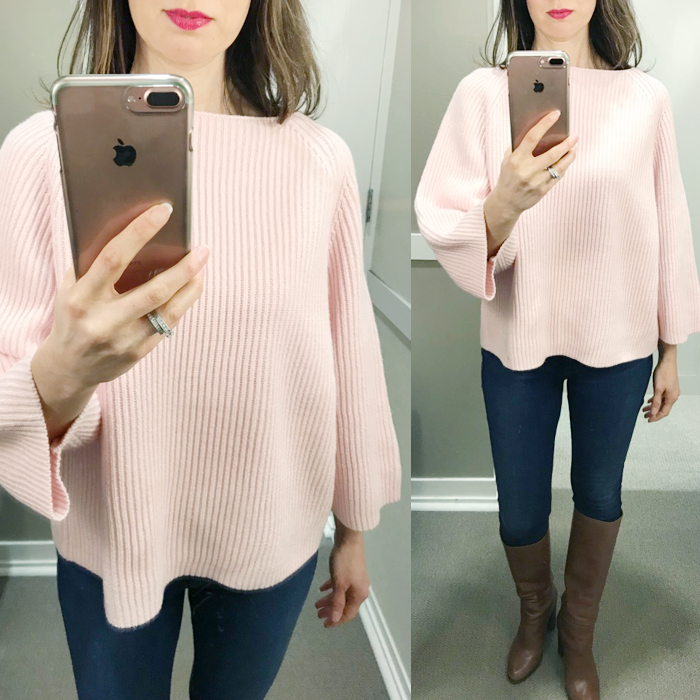 I love long cardigans and this one is a great “rose” color. I would like to buy this $20 striped sweater to wear these suede pumps. This is the cutest card case for your handbag. 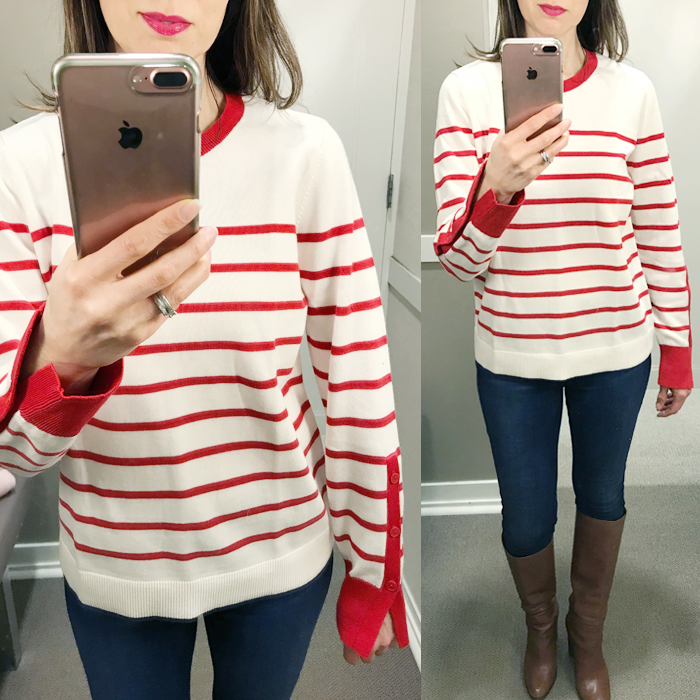 Mustard yellow is one of my favorite sweater colors - and I love this one! This floral blouse is only $10. 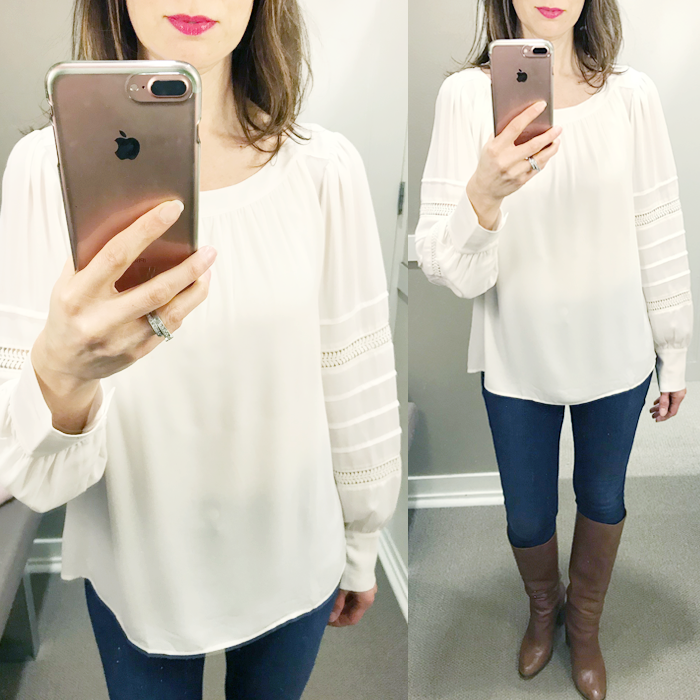 Be sure to link up your fashion and style posts over on The Blended Blog. Loft has really been killing it in the sweater game this year. 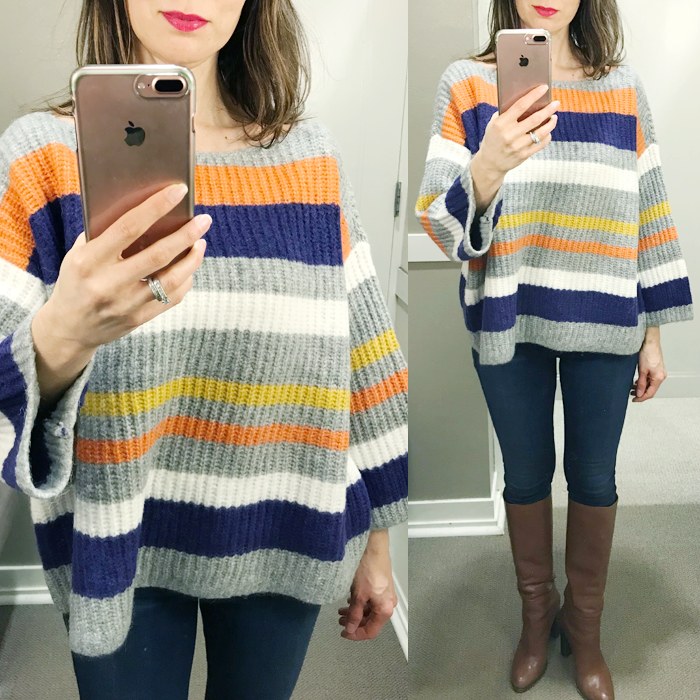 That striped dolman sweater is so cute! These picks are super cute! I love all the sweaters. Love all of the sweaters!! They certainly get worn a ton where I live!! 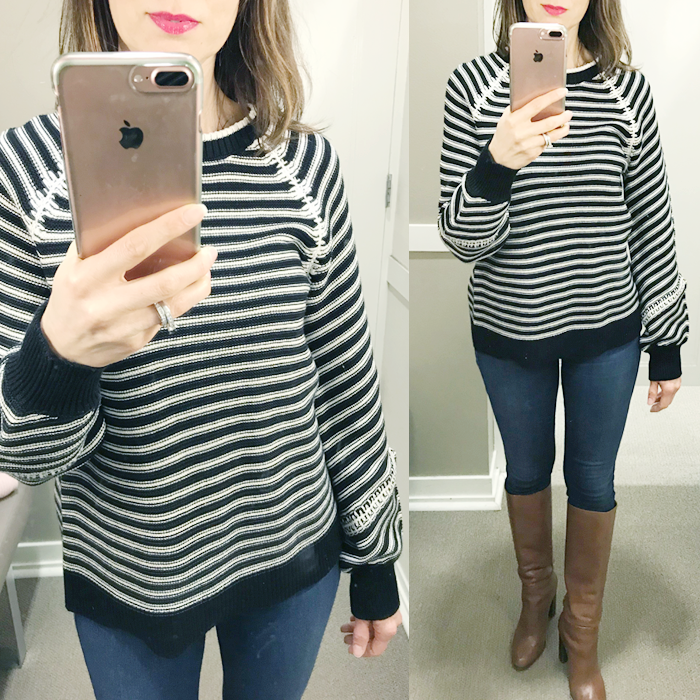 Love that first sweater! Stripes and me...we do well together. haha. 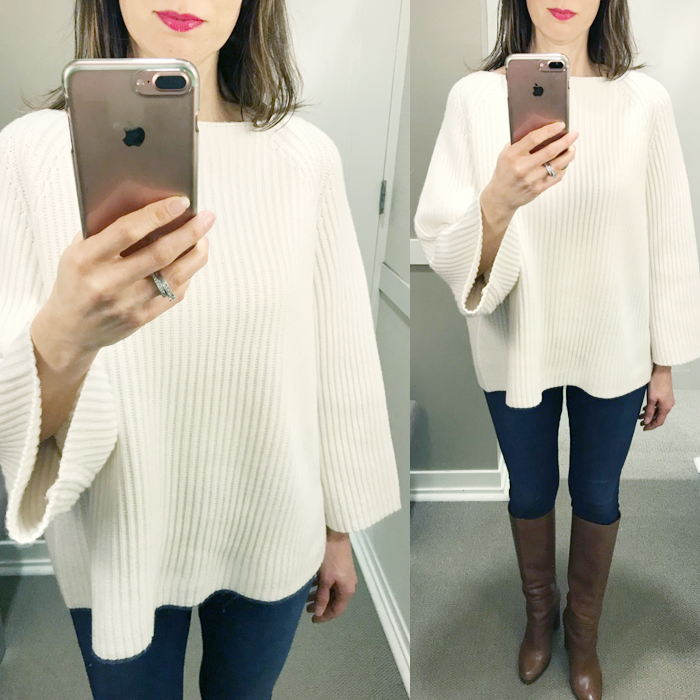 I sincerely am loving those dolman sweaters! Oh how I love the Loft sales! How did you find all of these cute things at Loft?? I was just there and somehow found NOTHING I wanted. It was so weird! So much cuteness! That floral shirt looks way better on you than it does on the model...super cute.